Skiles Test Youth Baseball and Softball offers leagues for boys and girls age 4 through 13 years old. A players age is determined by their age on May 1st for baseball leagues or January 1st for softball leagues. Skiles Test is a non-affiliated organization, so families are not bound to a specific territory map. 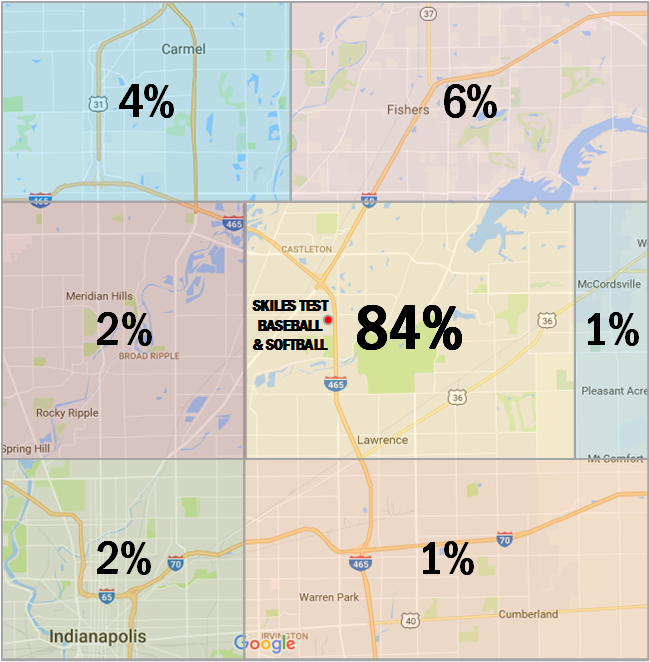 Most of our players live in Lawrence Township of Indianapolis; Lawrence, IN; Fishers, IN; or Carmel, IN; but players do participate from other areas. Any players willing to travel to our fields and surrounding areas for practice and games are welcome to play at Skiles Test.